Reconsidered is a bi-weekly newsletter curating thought-provoking content on corporate social responsibility, sustainability and social impact. Click here to subscribe. This has been the summer of podcasts for me. To keep me company on my bike commutes, I’ve been turning to long-form interview series like The Tim Ferris Show, Hurry Slowly, Forever 35, Conscious Chatter and Oprah’s SuperSoul Conversations. I love getting lost in people’s stories — hearing about how they started their careers, how they overcame early obstacles, how they structure their days and orient their lives. It got me thinking about the incredible people I know in the social impact space. What are their stories? How did they get started? What keeps them excited? In the coming weeks, we’ll be launching a new series answering just these questions. Is there anyone you think we should feature? Click here to nominate someone special. STAY UP-TO-DATE // On Twitter, LinkedIn and Facebook, we share the latest news and jobs as we find them. Our biggest takeaway from the latest iPhone unveiling? Apple’s plans to finally start addressing its “planned obsolescence” problem by creating phones that are (hopefully) built to last. “Because they last longer, you can keep using them. And keeping using them is the best thing for the planet,” Lisa Jackson, Apple’s VP of Environment, Policy & Social Initiatives, told the audience. If your existing phone is on its last legs, the new iPhone XS and XR use recycled tin in their logic boards, 35% post-consumer recycled plastic in their speaker enclosures and 32% bio-based plastic for the frame around the cover glass. Not quite the 100% recycled phone we’ve been waiting for, but certainly a step in the right direction. “Burning Man = Walmart.” It’s not the kind of comparison you’d expect. Burning Man is synonymous with art and anarchy. And Walmart is, well, Walmart. But according to the seasonal employees and volunteers protesting against Burning Man working conditions, the comparison is apt. “They’ve taken Guerilla art and turned it into a real corporation,” said one employee. Salon investigates the alleged labor abuses, including unequal wages, on-the-job injuries, a suicide rate much higher than the national average and a leadership team accused of turning a blind eye to it all. The latest reboot of Thomas & Friends, the legacy children’s TV series featuring Thomas the Tank Engine, includes storylines on sustainable communities, responsible consumption, gender equity, education and healthy ecosystems. It’s the result of a unique partnership between Mattel and the United Nations to integrate the Sustainable Development Goals into children’s programming — a new model for entertainment that combines storytelling with education around social and environmental issues. It’s a win-win for both parties: The UN gets greater reach for its initiatives, while Mattel has the opportunity to modernize Thomas and win back the pre-schoolers (and their parents) who had started to drift away. This fun, interactive and incredibly useful resource from Google and the California Academy of Sciences surfaces small household changes that can make a big impact on the planet. It’s divided into three areas — food, water and energy — and offers individualized tips based on your habits, along with data points that put your resource consumption in context. Bonus points for the playful graphics and easy-to-navigate interface, which make this resource something you’ll actually want to spend time with. Do you have an opening at your organization? Click here to submit a listing for consideration. CAREER TIP // We’re big believers that you don’t need to work for a non-profit or have “CSR” in your job title to make a difference. You can have an impact right where you are. We loved this round-up from the Forbes Coaches Council on 10 Ways To Initiate A Positive Change At Work Even If You're Not The One In Charge. This newsletter is curated by Jessica Marati Radparvar, with support from content strategist Ysabel Yates and jobs board curator Danielle Vermeer. If you like it, please consider sharing it! I agree with Giridharadas’ view that many social responsibility efforts ignore the deeper systemic issues that lead to inequality. We need proper business incentives. And tax reform. And a smartly-designed social safety net. But the provocative headline dismisses so much of the progress made by the social impact sector. And it ignores the fact that so-called “fake change” efforts have the power to raise consciousness and elevate the conversation in a way that can ultimately lead to “real change”. In this op-ed, author Anand Giridharadas uses the term “fake change” to describe most corporate responsibility and non-profit efforts out there. Sure, it’s technically change, he argues. But it’s change “the powerful can tolerate” because it doesn’t topple existing power structures. There’s truth in what he says, and it’s certainly a wake-up call to not become complacent with incremental efforts. But change is messy and complex. Some believe the only way forward is to dismantle the system, while others choose to work within it to effect what change they can. There’s room for both approaches to exist. In fact, I’d argue that it’s necessary. Business as a force for good isn’t the only answer, but has to be a part of the solution. Human rights abuses in the fashion supply chain is an ugly stain on an industry supposedly devoted to aesthetics. But a recent book by anthropologist Giulia Mensitieri brings to light another dirty secret of the fashion world: the exploitation of entry-level employees who, instead of receiving a living wage, are often paid in clothing vouchers and even social currency. There are so many powerful insights in this article that covers the psychology of denial, the dangers of normalization and why the radical act of simply talking about this form of exploitation is key to ending it. Colin Kaepernick is the new face of Nike, and the public reaction is just about what you’d expect. While some are burning their Nikes (🙄), others are buying new ones and posting their receipts online in solidarity. In our black-and-white, good-and-bad, highly polarized world, one interesting question emerges from the gray area: does Nike deserve our unadulterated praise when its track record includes past labor abuses and, more recently, inequitable treatment of women at its corporate headquarters? Brands can be incredibly influential advocates for social change. But if they don’t walk the walk, how can we take their message seriously? MOST CLICKED FROM LAST ISSUE // The Science of What Makes People Care — Stanford Social Innovation Review. Explore our archives for more great articles and helpful resources. This week was Zero Waste Week, a grassroots movement to raise awareness of the environmental impact of waste. While we could point to statistics about where all this waste is going (landfills, the ocean, the soil, up turtles’ noses😢), we instead wanted to look at where this waste is right now: clogging up our homes, apartments and offices. We are surrounded by stuff, and so much of it is completely unnecessary. How do we override this impulse to keep buying more? We were inspired by the founder of Zero Waste Week, Rachelle Strauss, and her post on the benefits of reducing household waste. We should do it because it’s environmentally-friendly, sure. But we should also do it because it’ll make life simpler. Less clutter and less time doing chores = more money in our bank account and more time to do the things that are important to us. That’s a movement we can get behind. MORE TO FEED YOUR CURIOSITY // Follow us on Facebook, Twitter and LinkedIn for fascinating content as we’re finding it. Last weekend I was in Brussels and visited the MIMA — a contemporary art museum housed in a converted brewery in the Molenbeek district. I was attracted by the exhibit on display, “Get Up, Stand Up: Changing the World Through Posters”, which showcased protest posters from the pivotal period between 1968 and 1973. I posted some snapshots of my favorite posters on our Facebook page, and I’m continuing to collect examples of strong imagery from the environmental and social justice movements. As shared in “The Science of What Makes People Care” (one of our five links below) communicating in images can be a powerful way to spark behavior change. Curious — are there any symbols or images, recent or historical, that have had a strong impact on you? P.S. I love products that are smartly and sustainably designed — like the Better Backpack from Thread, which just flew past its funding goal on Kickstarter. The video is awesome too. P.P.S. Huge thanks to everyone who responded to our latest Subscriber Survey. We’ve picked up some good insights and ideas, and we’re planning to roll out some changes in the coming weeks. If you have feedback on how this newsletter can be more valuable to you, please do share. This is a story about food — and so much more. In this podcast, Ezra Klein chats with Dr. Melanie Joy, author of Why We Love Dogs, Eat Pigs, and Wear Cows, about the ethics of meat-eating. Joy is best-known for coining the term “carnism”, which puts a name to the dominant but invisible ideology of eating meat. She argues that only by naming a dominant ideology can we start to question it — an approach that has far-reaching implications for other mainstream but unsustainable practices, like fast fashion and the throwaway economy. There were so many gems in this conversation, I had to listen to it twice. Last year, Susan Fowler blew the whistle on Uber’s sexist and hyper-competitive culture. In this article, she reflects on her time at Uber through a different lens: one of enabler. Tech employees are now grappling with the ethical implications of their work, including screen addiction and labour issues within the gig economy. These informal discussions have given rise to interventions such as Ethical OS, a new toolkit for technologists to assess the potential dangers of their work. Even Google is getting on board with a feature set for Pixel phones that aims to make JOMO happen by encouraging more reflection around individual technology use. Last week, a San Francisco jury issued a groundbreaking verdict against Monsanto, for the first time finding the chemical company liable for cancer associated with its glyphosate-based herbicides. The ruling awarded $289 million in damages to 46-year-old Dewayne “Lee” Johnson, who was exposed to Monsanto’s signature products Roundup and Ranger Pro while working as a groundskeeper at a Bay Area school and is now terminally ill with non-Hodgkin’s Lymphona. This case — and the man who initiated it — sets an encouraging precedent for 5,000 similar lawsuits across the United States that link Monsanto’s chemical-laden products with health issues. Monsanto plans to appeal. The headline says it all. In this article, Liz Segran analyzes the recent shuttering of Ivanka Trump’s brand, highlighting our waning appetite for fast fashion and the power of the consumer buycott. From voting with their wallet to speaking out against human rights abuses to demanding better quality goods, consumers are asking businesses to step up and do better. And it’s working. More on Ivanka’s business woes in this gut-wrenching Onion article (we had to). Globally, drunk driving kills nearly half a million people each year. But how do you convince people not to drink and drive? Heineken brought in the experts — the behavioral change experts. It's easy to feel scared, frustrated and powerless, especially when reading these articles on uncharacteristic 90°+ days. The ecoanxiety is real. But then you find bright spots. Like the women of color driving climate justice efforts (more in the Mothers of Invention podcast below). The inspiring teens behind the Zero Hour climate march. The unlikely coalitions. The surprising innovations. The case studies of transformation. These stories remind us that people are taking action to change the world for the better — and that we can too. What articles, podcasts, videos and other Internet tidbits keep you motivated and inspired? P.S. Over the next few weeks, we’ll be making some changes to make the newsletter even more valuable for you. If you have a few minutes, I’d be so appreciative if you could answer a few questions to help us out. Take the badassery of environmental advocate and former Irish President Mary Robinson, sprinkle in some sassy humour from comedian Maeve Higgins and you’ve got one of my new favorite podcasts. Each Monday, Mothers of Invention shares stories of influential women — many from underrepresented communities — who are leading the fight for climate justice. I particularly enjoyed Episode 2 on divestment. 👉 TAKE ACTION: Support the Zero Hour movement with a donation. Talk about bright spots. In a recent court filing, the National Rifle Association — a powerful U.S. gun advocacy organization that’s pretty much the worst — reported that financial difficulties could soon make it “unable to exist... or pursue its advocacy mission.” In May, New York state financial regulators clamped down on an NRA-branded insurance policy that “unlawfully provided liability insurance to gun owners for certain acts of intentional wrongdoing.” Beyond that, the NRA has had a tough time finding insurers, banks and financial service providers who will do business with them in the months since #BoycottNRA first trended on Twitter. Their struggle to find financing is an encouraging example of how consumer activism and business action can have a real influence on national issues. Wikipedia is the fifth most visited website in the world. It’s also plagued by gender bias. Only 18% of its biographies are of women, and an overwhelming majority of the site’s editors are men. AI is usually under fire for perpetuating bias, but in the case of Wikipedia it’s now helping even the split. A new software tool uses machine-learning to find notable women, particularly scientists, and write fully sourced Wikipedia entry drafts that a human editor can clean up and publish. This multi-part Medium series can help you quickly learn the fundamentals of systems thinking, with a focus on how it can be used for social change. It was created by Leyla Acaroglu, a designer, sociologist and entrepreneur with an impressive track record of challenging people to think differently about the status quo. Her popular TED Talk breaks down why the question "Paper or plastic?" isn't so simple from a sustainability perspective, and why understanding the entire system, as well as human behavior, is key to addressing environmental challenges. MOST CLICKED FROM LAST ISSUE // The Chinese Workers Who Assemble Designer Bags in Tuscany — The New Yorker. Explore our archives for more weekend #longreads. You know the one we’re talking about. 30,000 words, 18 months of reporting, over a hundred interviews — The New York Times Magazine cover story “Losing Earth: The Decade We Almost Stopped Climate Change” made waves when it was published last week. "Everyone knew — and we all still know. We know that the transformations of our planet, which will come gradually and suddenly, will reconfigure the political world order. We know that if we don’t act to reduce emissions, we risk the collapse of civilization. We also know that, without a gargantuan intervention, whatever happens will be worse for our children, worse yet for their children and even worse still for their children’s children, whose lives, our actions have demonstrated, mean nothing to us." Heavy… but important (though not without its critics). When you’re done reading, don’t despair — do something. CLIENT LOVE // Etsy just released its 2018 Impact Report, which includes exciting updates on their renewable energy efforts, advocacy achievements and diversity and inclusion work. Check out the highlights here. “Summer, I love that day!” goes a joke in the Netherlands. It’s pretty true. My first summer in Amsterdam was filled with grey, temperate days, the kind where you’re warm if the sun breaks through the clouds and hits you directly, but just a little too cold if not. But this summer, the weather has been incredible — 80 degree days, glorious sun, balmy nights that don’t get dark until close to midnight. The city has turned into one giant party. Everyone’s tan. I’m grateful for the chance to have a “real” summer. But I also feel a twinge of anxiety every time my weather app lists five little sun icons in a row, and when I heard that today might be the hottest day ever recorded in the UK. That’s because scientists agree that a major contributor to this summer’s European heatwave is (you guessed it) climate change. This issue’s Spotlight shares a cheeky, creative, potentially powerful solution to climate resilience — the Church of Climate Change, a project from creative agency Dr. Monk. By combining tactics from one of the oldest institutions in the world with modern elements (heyyy Taylor Swift dance-offs 👯) Lynn and Ama are breaking new ground when it comes to collective action. Poultry, pork and red meat are officially off the menu at coworking giant WeWork. The company estimates that by 2023, the policy will have saved 445.1 million pounds of C02 emissions and over 15 million animals. Though WeWork’s decision might seem radical (some even say draconian), it’s the type of bold leadership the world needs more of if we’re going to be serious about fighting climate change. Though WeWork is banning it, don’t moo-rn the beef industry just yet (#cheesyjokes). People are eating more beef than ever — they’re just not wearing it. The rise of ethical fashion, coupled with more relaxed dress codes and more stylish sneakers, is driving leather shoes out of vogue, leaving behind a surplus of hides. Sorting through recyclables can feel futile when literal waves of plastic are rolling into shores around the world. EcoCult’s Alden Wicker has long been a proponent of supporting systemic over individual change, and one way she walks her talk is by setting up monthly donations to nonprofits doing environmental work. Check out which organizations made her hit list (and see why she includes women’s health and family-planning groups too). What does the label “Made In Italy” mean in an increasingly globalized society? This piece takes you to Prato, a town in Tuscany where some of the world’s most recognizable luxury brands source from Italian (and increasingly Chinese-owned) factories. It’s a story of immigration, identity and opportunity — and a reminder that exploitative working conditions can be found everywhere. Resource Watch helps uncover the unexpected connections between the world’s biggest environmental problems. It brings together over 200 global data sets on issues ranging from food insecurity to ocean health. Explore the topics to find data that will help you make better decisions and tell more impactful stories. A few weekends ago, I found myself on a houseboat in Amsterdam Noord, dancing ecstatically with a group of strangers to Taylor Swift — all in the name of global warming. I was attending a prototype “mass” for the Church of Climate Change: a new project started by my friends Lynn Zebeda and Ama van Dantzig through their creative agency Dr. Monk. It’s a provocative idea. After all, people increasingly need to unite against the impacts of global warming. And when we consider the strongest, most enduring institutions in the world... well, the church is right up there. Whatever your feelings around organized religion — and mine can be critical — it’s hard to argue against the fact that over thousands of years, belief systems have connected people to purposes larger than themselves. That’s the type of “sustainability” needed for the climate resilience movement. So Lynn, Ama and the Dr. Monk team are exploring what a modern-day, secular, environment-oriented “church” might look like, prototyping workshops across the Netherlands and Ghana. During the session I attended, our multi-generational, multi-cultural group sang Beatles songs, played games, heard readings and had an animated group discussion around the concept of “LIBTYFI” — the idea of “leaving it better than you found it” and one of the fundamental principles of the project. 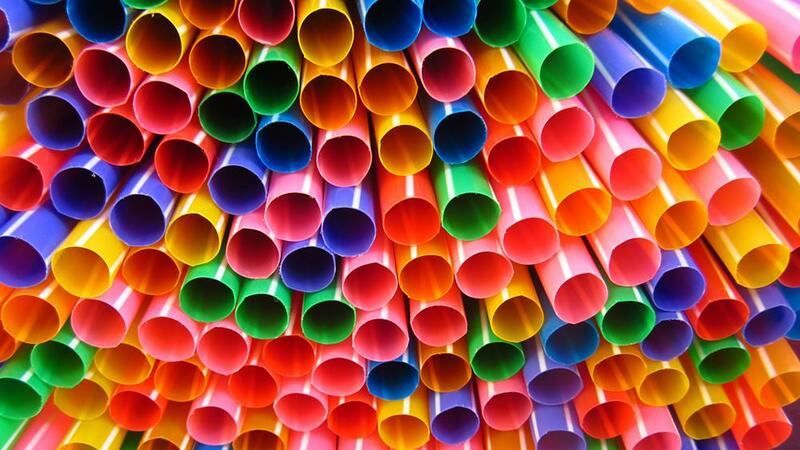 Straws have come a long way from the days of being made out of actual straw. This article charts the evolution of this humble plastic drinking accessory and with it, the societal trends and corporate systems that have enabled straws to become so widespread. A fascinating read (especially for nerdy History majors like me 🤓). Though Italy didn’t make it to the World Cup this year 😢, Italian football is still making headlines. This week, the Juventus soccer club announced a €100 million contract with Portuguese footballer Cristiano Ronaldo. Just one problem — Juventus is majority-owned by Exor, which also owns 30% of Fiat Chrysler, which in recent years has put thousands of workers on state-sponsored temporary layoff schemes because they failed to invest in new models. Now, an independent union is calling for a strike. “It is unacceptable that while the (owners) ask workers of FCA ... for huge economic sacrifices for years, the same decide to spend hundreds of millions of euros for the purchase of a player,” the USB union said in a statement. This follows other campaigns targeting exorbitant celebrity contracts, like the Clean Clothes Campaign calling on new UNIQLO spokesman Roger Federer to advocate for workers’ rights. Income inequality is on the rise in San Francisco, with the working class steadily being pushed further and further out. It’s now a city where teachers can’t even afford to live, much less people working in service occupations. Enter a new trend of “fine-casual” restaurants, which are dealing with the labor shortage and new $15/hour minimum wage by removing waitstaff from the equation. At restaurants like Souvla, customers wait in line to order their $13 free-range chicken sandwiches at the counter and bus their own tables at the end of their meals. It’s a case study of how high housing costs alter the economics of everything else — and as a born San Franciscan, it breaks my heart. If you could write with pollution, what would you say? Anirudh Sharma, a graduate student from New Delhi, began experimenting with turning carbon pollution into ink while studying at MIT. 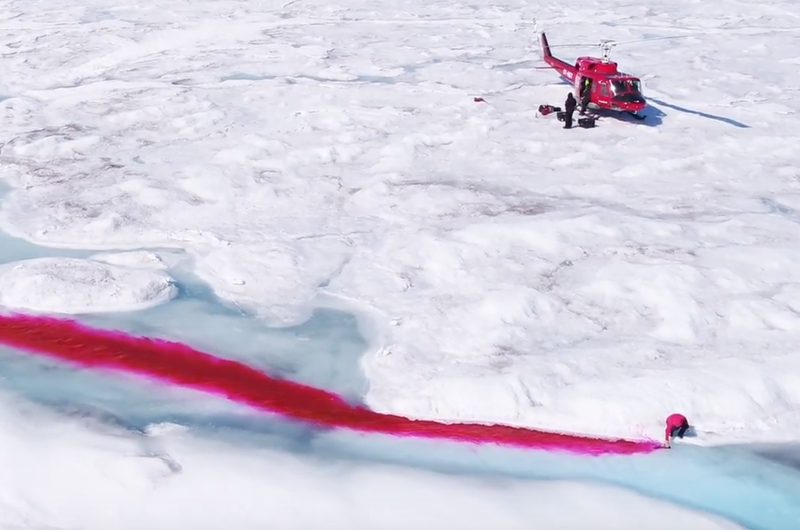 The result is Air-Ink marker, an innovation that is sparking necessary conversation about a problem that affects over 95% of the world’s population and contributed to over 6 million deaths in 2016. On May 29, Starbucks closed 8,000 stores in the United States so its employees could attend anti-racial bias training. This came after two black men were arrested at a Philadelphia Starbucks while waiting for a friend, an event that sparked protests and calls for a boycott. Starbucks let a This American Life reporter sit in on the training. The resulting episode is provocative, awkward and raises important questions about how effective diversity and inclusion trainings really are. Plastics are polluting our oceans, our soil, even our bodies. It’s an enormous problem that’s growing larger by the day, and only urgent, bold, systemic change will solve it. Businesses and governments bear the greatest share of responsibility. But consumers play an important role too — by questioning the way plastic has infiltrated our lives, by demanding change from bigger players and by taking a good look at our own relationship with plastics, especially those we take, use and throw away without a second thought. This month, over two million people are participating in Plastic Free July — a global movement and pledge to refuse single-use plastics. For more tips, visit the Plastic Free July website, which has a whole glossary of fun alternatives. John Elkington is issuing a recall on the concept of the triple bottom line — a sustainability framework he developed that examines a company’s social, environment, and economic impact. He argues that it has become diluted and is most often used to enable a “trade-off” mindset. The term could be saved, he says, but only if companies embrace radical systems change instead of incremental efforts. “Rage-giving” is all the rage since Trump took office. But the record-breaking Facebook fundraiser for RAICES — the Refugee and Immigrant Center for Education and Legal Services in Texas — shattered all expectations. To date, it’s earned over $20M. But is it effective philanthropy? Writing for Slate, Felix Salmon says yes, because the non-profit’s solution is scalable. 👉 TAKE ACTION: Donate to RAICES to help keep families together. At the Oscars, Frances McDormand introduced us to “inclusion riders” — a contract clause that ensures diverse hiring on set. The idea is now spreading to the financial world. But to work, says Andrew Ross Sorkin, it’ll need the “big pools of money” like pension funds and college endowments to demand diversity in their investment firms. Secondhand is hot right now. Top brands like EILEEN FISHER, Patagonia, REI and now The North Face have created mechanisms that allow customers to easily give a second life to old clothing. It’s a smart move for the environment, but it’s also good marketing. After all, only high-quality products can be used again and again and again. Only 25% of a group needs to adopt a new social norm before the whole group follows, says a recent study from the University of Pennsylvania. The lead author, Damon Centola, says: “When a community is close to a tipping point to cause large-scale social change, there’s no way they would know this. And if they’re just below a tipping point, their efforts will fail." But reach that magic number and things can change fast. Profiting from childhood trauma is not a good look, to put it mildly. But the tentacles of Trump’s “zero tolerance” immigration policy have reached a lot of businesses, some unwittingly. For instance, many airlines were quick to distance themselves from the policy after it was reported that separated children were being flown to different states. Employees at Microsoft and Amazon protested their companies’ work with the U.S. Immigration and Customs Enforcement (ICE) agency. And CEOs came out with statements denouncing the policy, donating money and resources to the cause. But other businesses are still complicit. Take the companies that house and transport migrants, some of which have made millions through government contracts. After these reports surfaced, at least one of those companies, MVM, said it will no longer pursue new contracts associated with undocumented families and children. It’s further proof that when citizens express outrage, businesses listen — and perhaps a nudge to express your opinions on the subject to the other companies highlighted in the report. Recently launched Masters’ programs in Impact-Focused Business and Investing and Global Risk, Resilience, and Integrity Management. Scholarships are available. Last week, Google released new artificial intelligence (AI) guidelines after thousands of employees campaigned against its controversial drone project with the Pentagon. It’s a first step, but is it enough? As algorithms exert more control over our lives, ethical AI is a growing concern that companies like Google need to take more seriously, including through external engagement. To tout its water conservation initiatives, Coca-Cola came up with the tagline, “For every drop we use, we give one back.” Sounds great — if only it were true. Coke only factored in the water used in the soda bottle itself, but left out the water used throughout its supply chain, which has a significantly greater impact. It’s a lesson for all CSR professionals, both of the need to be comprehensive with impact mapping and not to lose touch with the facts when crafting those catchy one-liners. Black plastic is harmful for a surprising reason: recycling. A lot of it gets sent to landfill because the sensors at recycling plants are bad at detecting it. So the black plastic that does get recycled tends to come from e-waste, which contains harmful toxins. When this toxic plastic gets recycled into things like takeout containers, it’s a big problem. The bottom line? Small choices, even around things like color, matter. The future of transportation is exciting: solar-powered roads, autonomous vehicles, flying cars, the bicycle. Yes, the humble bike. Thanks to new technologies like RFID, GPS, Bluetooth and mobile-payment systems, the bicycle is going high-tech and enabling cities to become smarter through initiatives like dockless bike-sharing. This free resource gives practical, evidence-based advice on how to do the most good throughout your career — all 80,000 hours of it. The entire guide is worth exploring, but we want to call attention to this section that outlines how anyone can make a difference, regardless of their career path. Fashion is one of the most polluting industries in the world and our obsession with new clothes is costing the planet. For instance, producing one cotton shirt requires 2,700 liters of water, which is the amount a person drinks in three years. And the industry creates 1.2 billion tons of greenhouse gas emissions annually, which is more than international flights and shipping combined. This summer, take action — or rather, inaction. Join Collaction’s Slow Fashion Summer campaign and commit to not buy any new clothes from June 21st to September 21st. 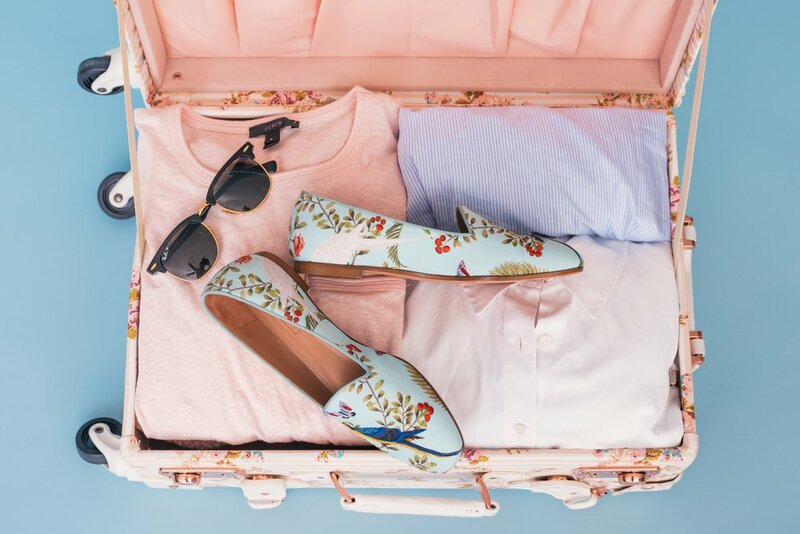 We only wear 20% of our wardrobes, so take a summer trip into your closet to rediscover long-lost favorites. You can also buy secondhand or trade with a friend. Sign the pledge by June 20th and join the Facebook group to swap tips, tricks and clothes. From the dissolution of the President's Manufacturing Council to Patagonia’s public lands campaign, CEO activism is gaining momentum. But can companies really fill the policy void created by a volatile political environment? Should they try? And what are the risks with this approach? These are the questions raised by BSR’s Alison Taylor in this provocative op-ed offering a different perspective on a trend otherwise hailed as positive. Hiring refugees is good business, according to a recent study of employment trends in the U.S. manufacturing sector. The study, commissioned by non-profit Tent, found that the average employee turnover rate for refugee workers is 4%, while the overall average is 11%. That higher retention rate could translate into thousands of dollars saved for every refugee hire. Women are everywhere in fashion — except at the top. Only 14% of major brands are run by a female executive. A new report attempts to understand this gender imbalance and propose solutions. The reasons are painfully familiar and the solutions aren’t unique to fashion (they include flexible hours, pay-gap audits and mentorship) but the study itself is worth reading for its insights and anecdotes. The husk that encases coffee beans, called cascara, used to be considered trash. Today, it’s selling for $7/pound, while the humble bean averages at just $1.20/pound. Starbucks, Blue Bottle and Stumptown are even making fancy lattes from it. They say “Waste not want not”... but now we just really want to try one of those lattes. Last week, Amsterdam circularity organization Circle Economy launched a database of more than 1,000 case studies demonstrating how organizations around the world use circular strategies to create value. It’s full of creative ideas and practical solutions, and it’s organized by sector to make it super easy to search. The hope is that these case studies help to move the circularity dialogue from exploration to action. 1.3 billion tons of edible food are wasted every year. That’s 4,000 pounds for every person who goes hungry. If food waste were a country, it would be the third-largest emitter of greenhouse gases. Another statistic? Over 2 billion people own a smartphone and that number is only growing. So when it comes to battling food waste, of course there’s an “app for that.” Several, in fact. And they’re genius. Too Good To Go is one that’s scaling fast across Europe. The idea is simple: it connects users to nearby restaurants, cafes and supermarkets selling off surplus food that would otherwise go to waste — at serious discounts. In the U.S., Food for All is a similar concept currently available in New York City and Boston. One app available worldwide is OLIO, which helps both businesses and households give away their extra food to neighbors. Simply upload a picture of what you’re sharing and arrange a pick-up via private messaging. A shout-out also goes to Imperfect Produce, a subscription box of fresh fruits and vegetables that are considered too “ugly” for grocery stores (but not for our bellies!). P.S. If this spotlight gets you fired up about food waste, check out our jobs board for an exciting Amsterdam-based career opportunity from Too Good To Go. By 2050, researchers estimate that half the coral reefs in the world will be destroyed. Rising temperatures are a major contributor, but they aren’t the only culprit. Sunscreen also causes coral bleaching — and 14,000 tons of it end up in our oceans each year. Now, Hawaii has become the first state to ban commercial sunscreen’s two deadliest ingredients: oxybenzone and octinoxate. The ban goes into effect in 2021, but many Hawaiian businesses have already stopped selling the bad stuff. 👉 TAKE ACTION: If you’re headed to the beach this summer, make sure your sunscreen is ocean-friendly. Here’s a list to get you started. Jennifer Hyman, co-founder of Rent the Runway, recently did something radical: she gave hourly employees the same parental leave, family sick leave, bereavement leave and sabbatical packages as salaried employees. But should this really be considered “radical”? Why can’t it just be the status quo? These are the questions this op-ed forces us to consider. Data-driven disaster response. Autonomous water and energy systems. Satellites that can detect environmental destruction in real-time. These are just a few of the 80+ environmental applications of artificial intelligence identified in a recent PwC report. The possibilities are incredible. Every weekday, Olivia Gossett Cooper sends subscribers a tip for living more sustainably that is drop-dead simple but can have a real positive impact. And when we say simple, we mean simple. I loved the recent suggestion to choose lonely bananas at the grocery store (because single bananas are 60% more likely to be thrown out as food waste than bunches 😢). Definitely a must-subscribe. Yeah, we’ve all been there. Maybe you delivered an impassioned rebuttal. Maybe you dropped some knowledge. Or maybe you just sat in silence, seething with frustration and judgement. But what if you responded with humor and creativity? “Climate Change is Not Real” was the prompt given to 12 artists by thredUP, a secondhand marketplace. The result is Project re:made, a collection of creative, whimsical designs intended to spark discussion about climate change with believers and non-believers alike. As we’ve written about before, humor might be the most effective way to communicate the dangers of climate change. thredUP’s designs might help us open the door to real dialogue. In March, I had the opportunity to go home to Guam, the U.S. island territory where I grew up, to deliver a keynote speech on sustainable business at the University of Guam’s 2018 Conference on Island Sustainability. It was an invigorating few days, filled with ideas, talks and dialogue on environmental challenges in a small island context. It was deeply fulfilling to reconnect with my home in a different way, and I can’t wait to stay connected with what happens next. 🌴 Watch my presentation on Business as a Force for Good here.